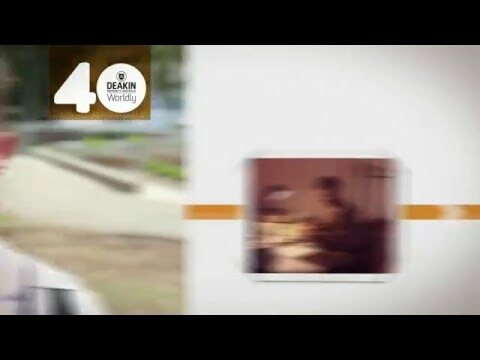 Deakin University, Australia, is a top-rated university with world-class graduates. Industry-focussed degree programs and a strongly international outlook mean that Deakin graduates are ready for the global workplace. Deakin is ranked in the top 3% of universities worldwide and was named the 2014 International Educator of the Year by the Government of the Australian State of Victoria. Deakin offers hundreds of degree programs across four faculties, 17 schools and a range of research institutes and strategic centres. A variety of courses are offered in numerous disciplines ranging from Science to Arts and Business to Health. Whether it's the Sciences at our innovative nanotechnology facilities or the Arts at one of the world’s largest motion capture labs, Deakin brings together the latest in technology to complement learning. The university’s practical approach to learning puts emphasis on real-world experience and professional practice. In many degree programs, students get practical experience right away in the first year of study – our engineering students build, our education students teach. Deakin also places a premium on work experience and internships to improve student employability. As a result, Deakin graduates are job-ready and equipped with the skills sought by employers in an increasingly competitive global workplace. unconstrained by time or space, with no compromises in learning quality. Melbourne is the multicultural heart of Australia – an international city that is home to people from all around the world. A city built for exploring: Coffee shops and galleries, music and amazing food can be found down every lane and alley in the city centre, there is always something happening in Melbourne, from cultural festivals and world-class arts performances to international sporting events like the Australian Open tennis tournament. Melbourne is a safe, smart and sociable city – a place that continues to earn its title as the most liveable city in the world (Economist Intelligence Unit, 2011–2014). Geelong combines the best of city living with an atmosphere that is more laid back. Just an hour away from Melbourne, Geelong has the shopping, dining and nightlife one expects of a dynamic city, but its beautiful waterfront and gardens are perfect for strolling and relaxing. And with some of the world’s best surf beaches close by, the city of Geelong is the perfect balance between the bustle of Melbourne and the beauty of seaside Victoria. Enjoy cultural festivals and a receptive community that gladly welcomes Deakin students. You might even become a new fan of Victoria’s sports obsession – Australian rules football – by attending the games of the Geelong Cats professional football club. The team is a partner of Deakin University. Warrnambool presents a different side of Victoria. Set along one of Australia’s most scenic coastlines, Warrnambool is the place to be for exploring the country's famously unique plant and animal habitats. It is also a prosperous country town that offers comfortable living and a thriving cultural scene hosted by a great regional gallery and arts centre. Cruise up the Hopkins River or sit down to some excellent Southeast Asian cuisine on Liebig Street. Warrnambool has plenty of options for an active student, and the small town feel creates a sense of community that would be harder to find in a big city. To find out more visit deakin.edu.au/international.